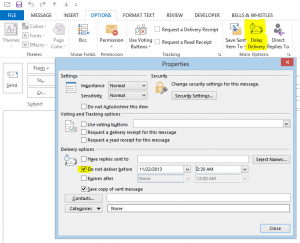 When you are done composing the email, click on the Send button: Outlook will put your email in your Outbox folder. Don’t panic! 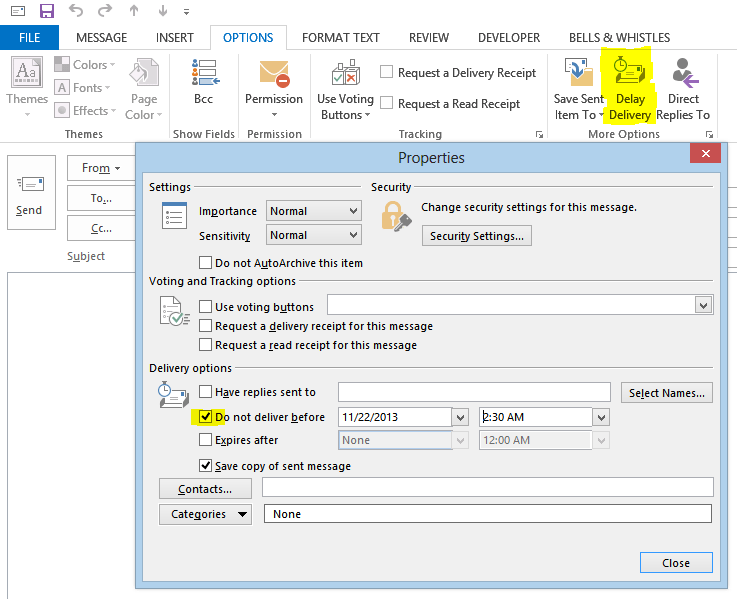 Even if you perform a Send & Receive action, Outlook will NOT send that email from the Outbox mail folder until the time / date you’ve previously specified. If you are looking to delay, schedule or queue mass emails in Outlook, you have to use an Outlook add-in. 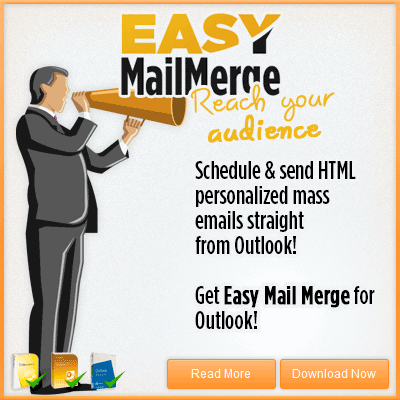 You can use Easy Mail Merge for Outlook to create, schedule, queue, send and manage mass emails in Outlook. When you use delay send the time that you wrote the email stays the same. For example if you composed the email at 01:00 but delayed it until 06:00. The email would be sent at 06:00 but with the time on the email of 01:00. Can the time be changed?